Now that winter is here, and there are no more showy flowers or fall foliage, you can really start to see other ornamental aspects of plants. You can appreciate how woody and evergreen trees and shrubs provide form and texture throughout the winter. If you look a bit more closely, you can also appreciate the beauty and variety of bark. When I think of plants that provide “four seasons of interest”, it is those with interesting bark (or berries, but I’ll focus on bark this time) that shine in the winter landscape. Here are a few of my favorite options. 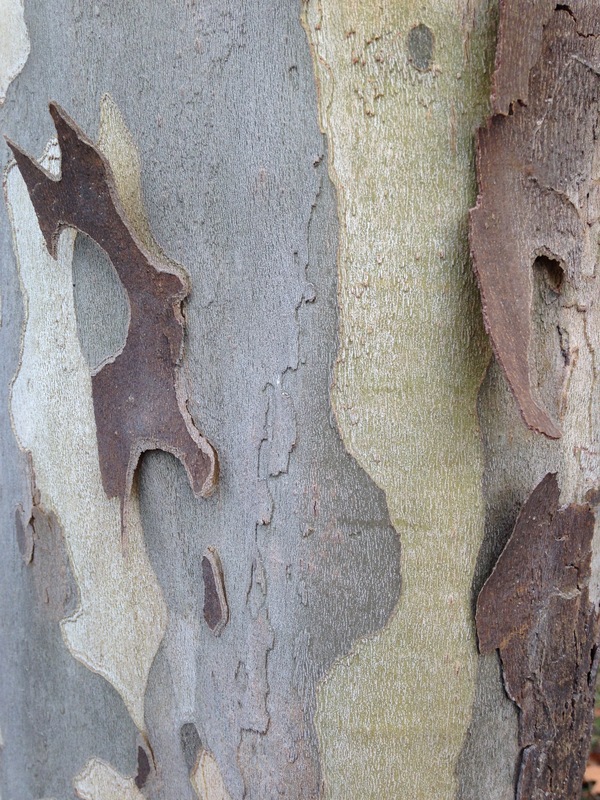 Platanus acerifolia (London Plane Tree) This gorgeous, mottled bark, ranges in color from grey to light green to brown. These are huge shade trees, and need plenty of room. If you live in the Boston area, these are the trees planted along Memorial Drive in Cambridge. Betula populifolia (Grey Birch) This mature tree has exfoliating white bark, which really brightens up the landscape. Paper Birch trees are even whiter, but are best used further north. 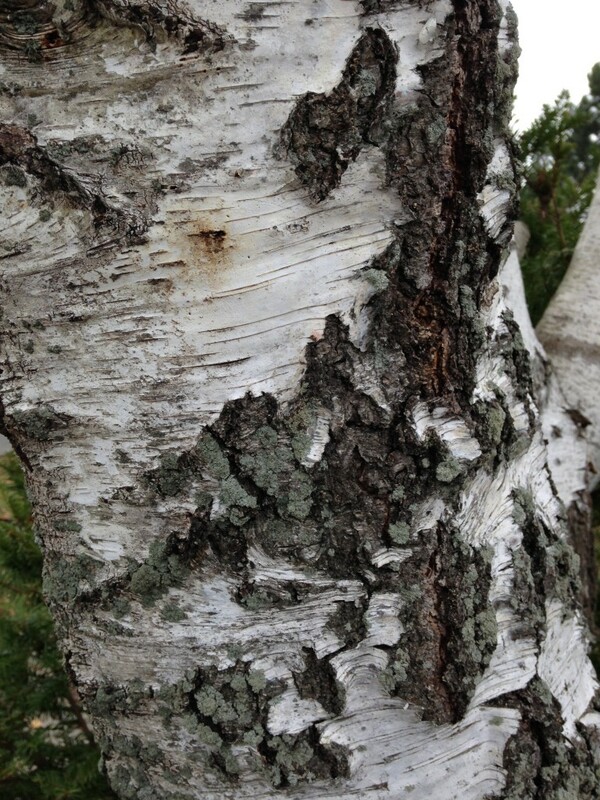 River Birches are a great option for Massachusetts and offer this nice exfoliating texture in a browner tone. 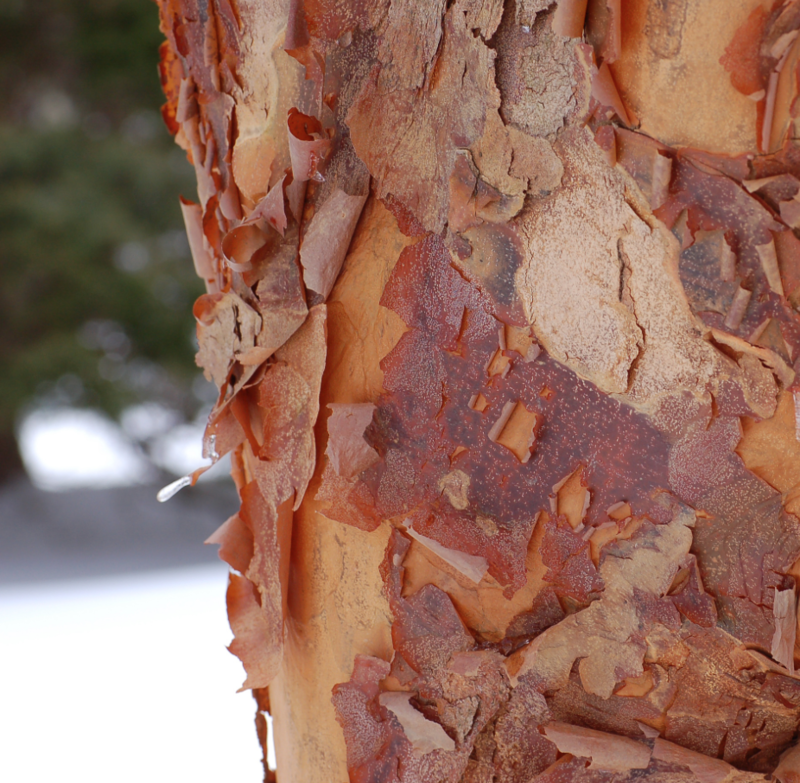 Acer griseum (Paperbark Maple) has gorgeous cinnamon color exfoliating bark. Truly a stand out in the winter landscape. This tree is smaller, at 20-30′ tall, and can fit well in most residential landscapes. Plant one in a prominent location where you can really appreciate the bark. Corns sericea (Red Osier Dogwood) is a deciduous shrub that has bright red twigs. Beautiful in the winter landscape. 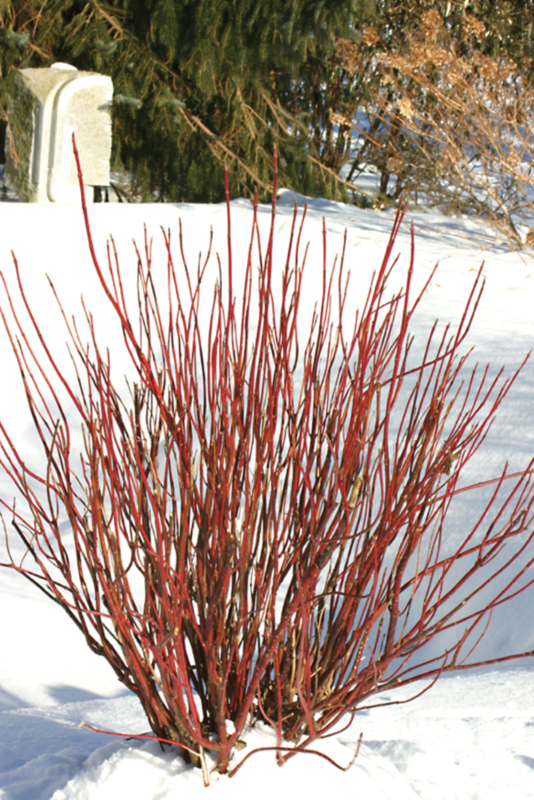 New stems have the best color, so prunes these shrubs hard in early spring for great color the following winter.